The mission of the Keweenaw Heritage Center at St. Anne's is to preserve and interpret the culture and heritage of the Copper Country through the preservation of buildings, development of exhibits and other educational activities. The Heritage Center is unique as it highlights the social aspect of mining community life. The building is used as a museum, educational facility, for musical programs and is a venue for meetings, weddings and receptions and other gatherings. Located at the head of downtown Calumet's commercial district, the Keweenaw Heritage Center, formerly St. Anne's Church, is a pivotal structure of the Calumet Downtown National Historic Landmark District. 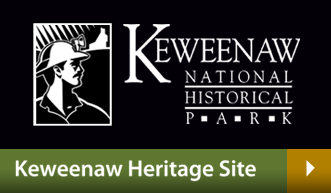 The KHC is a cooperating site of the Keweenaw National Historical Park. In 1994, after several years of negotiating with the owner, a group of local citizens raised the funds necessary for the Charter Township of Calumet to purchase the former St. Anne’s Church. Calumet Township is the fiscal agent and insurance carrier for the building. The Township has delegated fund-raising, development and operation to the management board of the Keweenaw Heritage Center at St. Anne’s. The Center has been adapted to serve as an educational and cultural center. 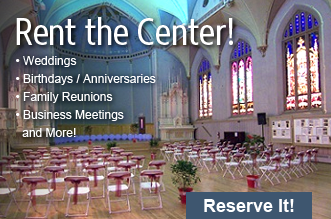 It is available for the celebration of life events and for meetings and conferences. As of 2011, approximately $1,100,000 had been spent in the rescue and restoration of the building. More than half of that has come in donations from individuals or businesses. The stained glass windows were a major cost in the restoration. Some of the American Opalescent glass had been broken and the lead holding panes in place had deteriorated. In 1999, some were repaired on site; some were removed and sent away to be restored. The windows are a part of the beauty that has been a tradition in the heritage of the Copper Country. The Center has also been fortunate in receiving generous support from foundations and arts associations. Without those gifts and the gift of time from hundreds of volunteers, the building would not have survived to become an asset to the community. To promote long-term stability, an endowment fund has been created at the Keweenaw Community Foundation. 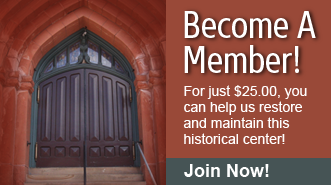 Contributions to the endowment fund are tax-deductible as are contributions to the Keweenaw Heritage Center through Calumet Township. This is a building that can thank people who value heritage and work toward preserving it. Through the years, there have been exhibits during the summer months at the Keweenaw Heritage Center. These exhibits focused on different aspects of life in our community. Almost every year a new exhibit is displayed. A comparison between children in 1900 to children in 2000 was the theme for a summer. Another year, framed houses were "built" on the main floor of the Heritage Center so we could feel what it was like to live in a miner's house. One exhibit focused on Jacobsville sandstone and the buildings both large and small that were built from this local resource. The last two years we learned about a woman's place in the home and community in 1910. Coming for 2015 & 2016 is a virtual tour of Fifth Street Calumet in 1910. These exhibits have been put together by members of the KHC board and other local community members. The amount of time and research they put into these exhibits is staggering. They have all been unique, impressive in quality and full of fascinating details of local history. A must see on your trip to Calumet! While the exhibits are one way of attracting guests to the Keweenaw Heritage Center, another facet of our heritage is the different kinds of music that have been passed on through the generations. Musical Mondays showcase different groups of local talent. We have polkas, country music, ethnic songs and everything in between during these programs. While some like to just sit and enjoy the music, others get up and dance. Check the summer schedule for more details. Most days when the Keweenaw Heritage Center is open, chances are you can hear the organ being played when you enter the building. In order to show off the organ and the many talented local organists, daily one-hour concerts are held. Over the course of the summer, formal concerts are often held featuring organists, flutists, and even a harp concert. You don't want to miss some of these wonderful musicians perform. Within the last couple of years, a new program called "Tuesday Night Live" was started. Various speakers have done presentations on a number of different topics. Mining, fishing, walking paths, immigrant stories and lava flows are just a few of the interesting Tuesday nights we've shared at the Keweenaw Heritage Center. Also, during the last few years, a fall craft show has been held in the basement of the KHC. FinnFest held an event, a quilt show and ethnic & family gatherings have all found the Keweenaw Heritage Center a wonderful venue for special occasions. This is what the Keweenaw Heritage Center is all about - sharing traditions and heritage from yesterday, today and tomorrow. If you are interested in renting the Keweenaw Heritage Center for an event, make sure you look at our rental information on this site. Our calendar will give the details on what is going on throughout the season - Musical Mondays, Tuesday Night Live and concerts and other events.